See this? This is the result of a 3 hour raid. 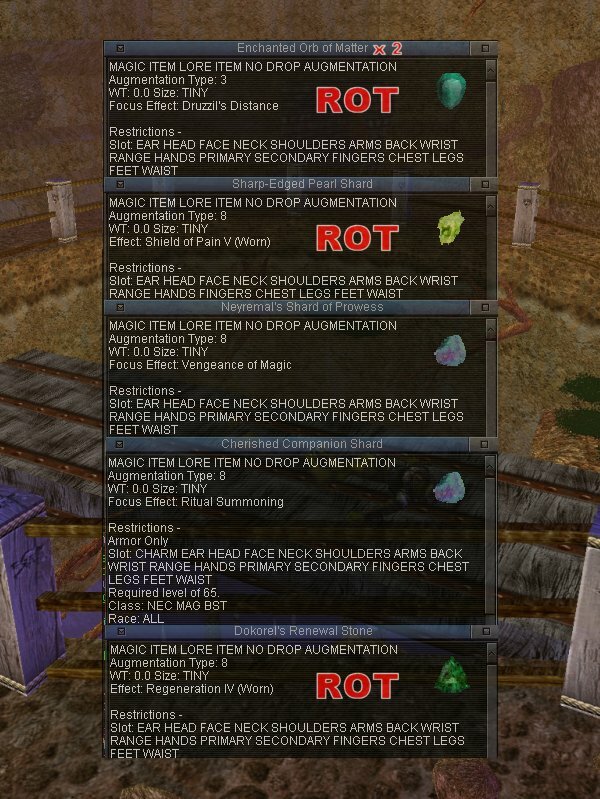 The same ridiculous quality of loot dropped yesterday. This isn't random bad luck. 6 hours of raiding for two non-rot loots that are about as good as half of one time drop each. In the slim chances a Sony employee will read this page, I am abusing my news posting privilages to whine about this CRAP despite this dead horse having been beaten to a pulp already. HOW am I supposed to convince my guild to raid LDoN with WORTHLESS drops like these? I KNOW you are still tinkering with the raids. So WHY aren't you fixing this? 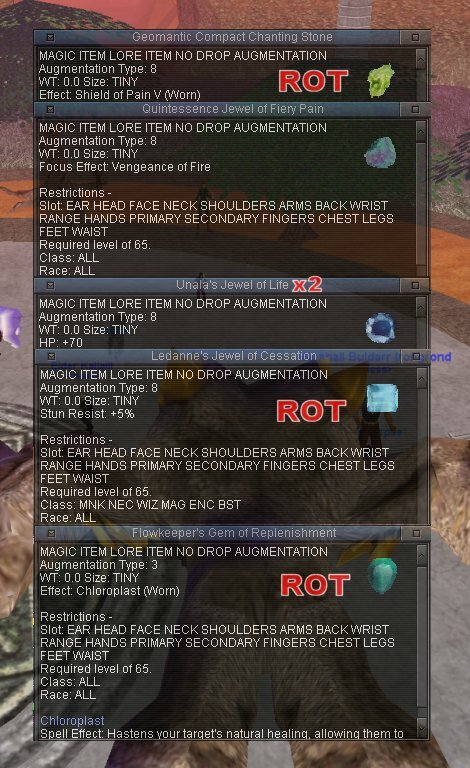 At the very least, just remove the worthless augments from the loot tables. It won't take more than 5 minutes away from your precious expansion of the month dev time. Jan 22nd Edit: Hoss defeats the Jailbreak raid! 3 Raids down, and a 4th close. Feb 4th Update: North Ro time raid down. Violent experiments close. Guk still bugged. Current LDoN loot tally as of Feb 4th: 34 non-rot loots out of 84 LDoN time raid drops.